OrcaVue worked with the team at Mach 2 Management to provide Tissot Watches with the number one rated activation at the 2018 NBA All-Star Game pop-up experience, as rated by the Los Angeles Daily News. 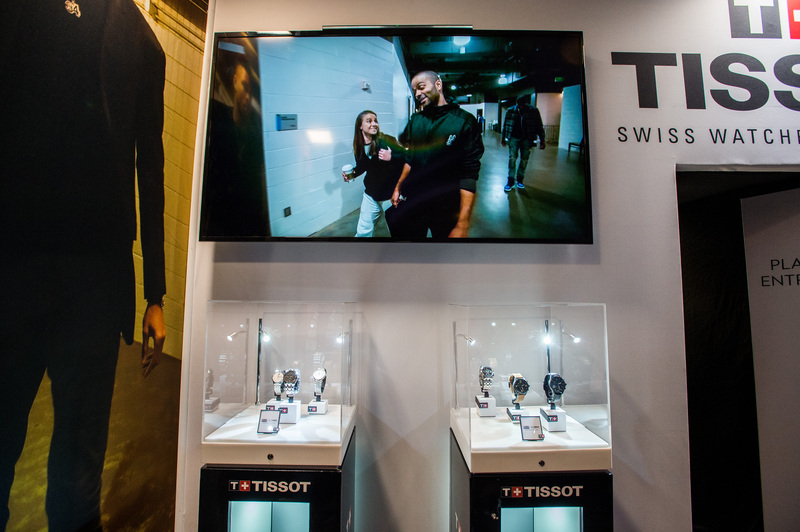 Over the course of the four-day event, our green screen 360 photo booth allowed guests to Tissot’s booth an opportunity to show off their NBA fashion just like one of the pro’s entering the arena. We also provided Tissot with a sleek and customized booth front to ensure that they had a brand presence that demanded event attendees’ attention. OrcaVue was able to provide Tissot with rendered images and videos of both the 360 photo booth prior to locking into the event as well. Check out the renderings below.